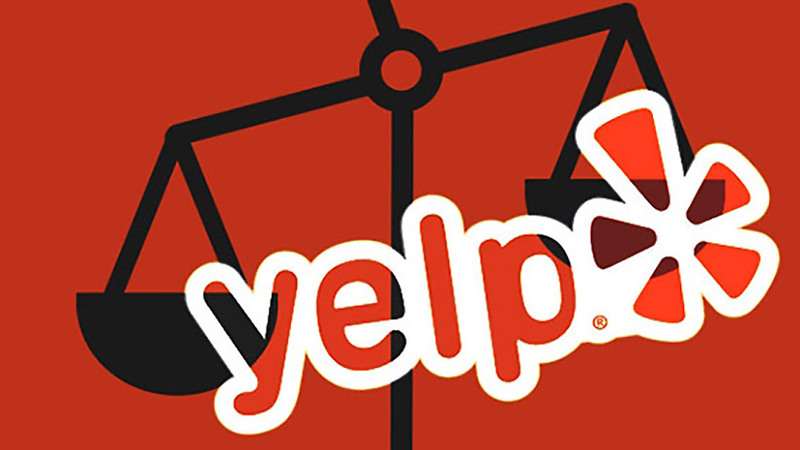 Yelp is a virtual marketplace that has been shaping our spatial orientation for many years, since it was founded in 2004 and has increasingly expanded worldwide since 2009. Despite its vast impact on our daily life, its digital rhetoric has hardly been researched and is usually taken for granted without further critical awareness. In a 2013 survey, the Boston Consulting Group found that only 15% of 4,800 interviewed small business knew that they had a free Yelp profile and that only 11% had claimed it. And despite the significant increase of profits by advertising or just being listed on Yelp, most small businesses do not partake in this new digital marketplace. Still, Yelp’s digital reality is no neutral “Archimedean” point of reference. Rather, it modifies and manipulates the reality we perceive through it. In this respect, this lesson plan seeks to raise a more critical awareness of the digital rhetoric of Yelp. The digital skill required for making an infographic with Piktochart fits to Unit 3 (weeks 13-15) of the RHE 306 Instructor Guide. This lesson plan seeks to increase student’s critical awareness engaging with Yelp. Students not only learn to question the ranking and categorization procedures by Yelp, but also acquire oral skills in presenting their findings, digital skills in developing an Infographic (or a Powerpoint) presentation, and writing skills in composing an argumentative essay. This lesson is ideally conducted in a digital classroom, where Infographics (or Powerpoints) are easily projected to the whole class. But as long as a projector is available, any other classroom may be used as well. This lesson plan is ideally conducted in 2 (75 min) class meetings. But individual elements may be cut or modified. For the students’ presentations, either Piktochart or Powerpoint can be used. This Inc magazine article by Max Chafkin is the reading for the students as homework for the second lesson and serves as a great introduction to Yelp. 4. Homework: finish argumentative essay and submit for a grade. This lesson is ideally combined with a Piktochart skills workshop conducted by a DWRL staff member. 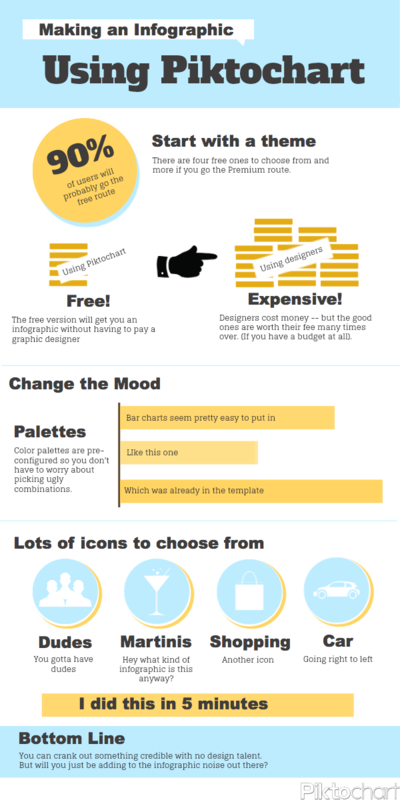 Here is a link to Beck Wise’s infographic about how to make an infographic. And here are some examples the teacher can use as exmples for the students, e.g. a cat’s body language, about how much cats actually kill, and about the healing powers of cat purrs. The Infographic can be graded according RHE 306 grading standards (RHE 306 Instructor Guide, weeks 13-14). The argumentative paper can equally be graded by the rubrics in the RHE 306 Instructor Guide Unit 3, weeks 11-12; grading rubrics: pg. 134-137). The infographic and argumentative paper may be grade as a portfolio. The infographic presentations may incorporate peer feedback by the other students. Both, the infographic’s form and content are to be graded. How does the form contribute to the content and vice versa. For the argumentative paper, the traditional standards for grading RHE 306 papers can be used. Papers should follow a clear argumentative structure, with a clear thesis, multiple arguments, concrete examples as well as a conclusion.